Home » Buckhead Condo Fees are How Much??? Buckhead Condo Fees are How Much??? Buckhead is home to some of the most fashionable and desirable high-rise condo buildings in all of Atlanta. However, just like anything else in life, not all condo buildings are the same, and one of the big things to consider is the monthly HOA fees. So what are these fees, what do they cover, and how do they compare building to building? What do these HOA fees cover? In almost all developments where residents share amenities, maintenance or services, a Homeowner’s Association is establish to ensure everyone plays nice and pays for their fair share of the common elements enjoyed by all owners. 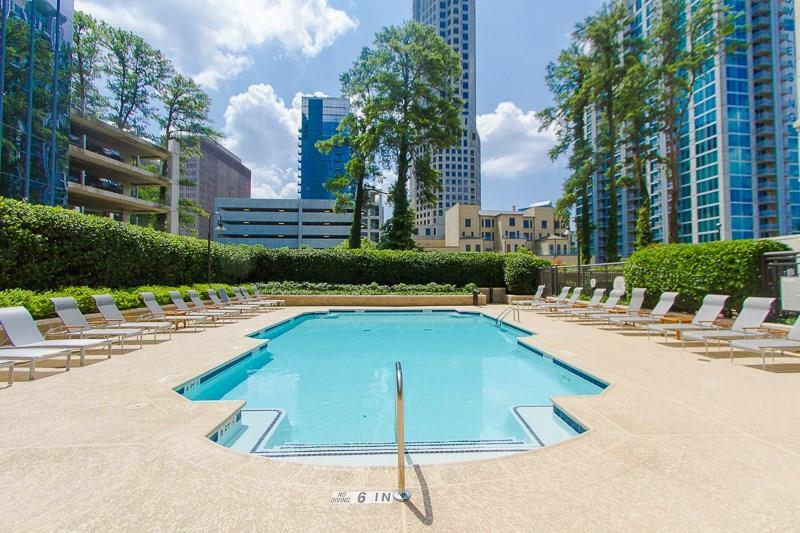 In most modern high-rise condo buildings, like the ones in Buckhead, the monthly association dues cover things like the pool, gym, common areas, concierge, building maintenance, insurance, and sometimes utilities – like water, gas, or cable. Each building offers their own set of amenities/services, and each has their own unique maintenance requirements, so HOA dues can vary significantly building-to-building. Interestingly though, in most Buckhead condo developments, the assessments are based on the size of the unit. That is, the HOA charges a certain amount per square foot every month, so while the cost per square foot is the same for all residents, owners with larger units will pay higher fees. 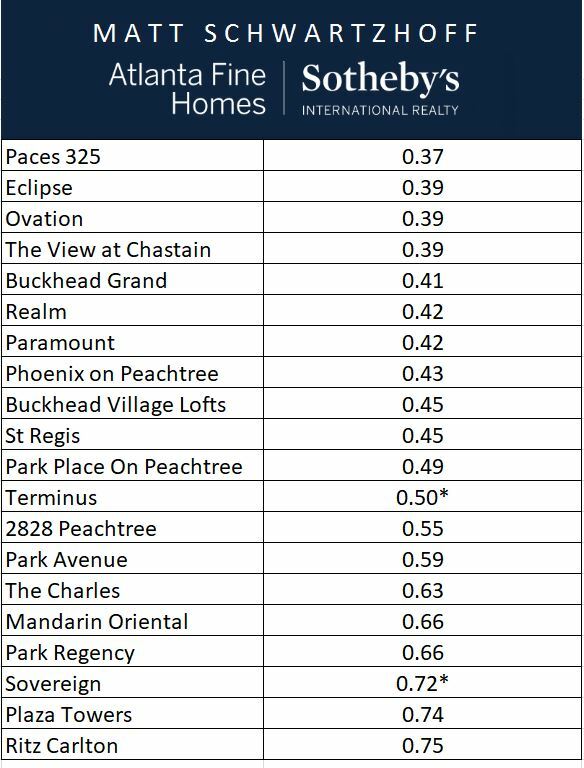 How much are the HOA fees in Buckhead’s high-rise buildings? The average HOA ratio (monthly cost per square foot) is roughly .45, which means that each owner would be charged $0.45 per square foot a month. So, if your condo is 1,000 sqft, you’d be responsible for $450 in HOA fees per month, so on and so on. *Note that fees in Terminus and Sovereign also vary to a small degree based on factors such as number of bedrooms, etc.